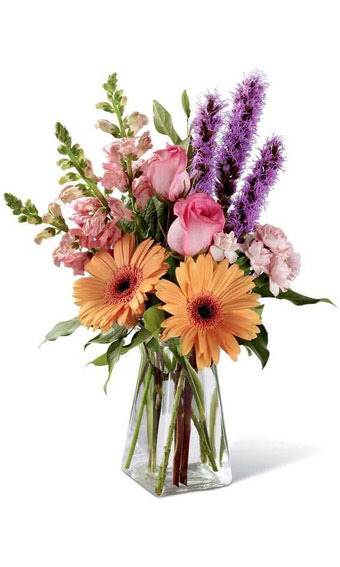 Order flowers today to make your house look like spring. 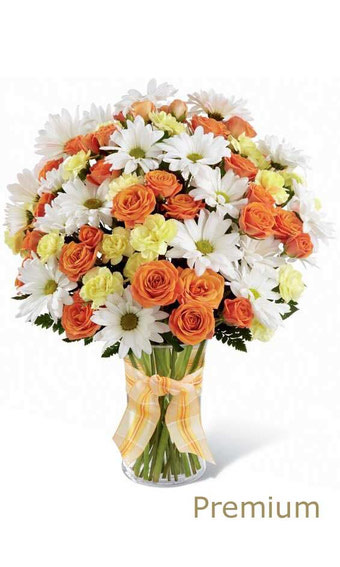 Easter is a great time of year for a gift of flowers. 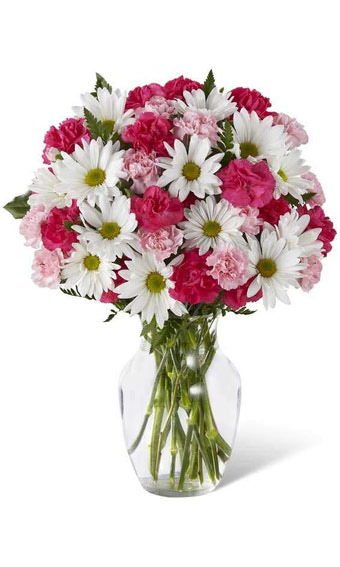 The floral experts at Ollie's Grower Direct will ensure that your flowers are fresh, beautiful and delivery on time. A cute little cutout of your favorite flower gardens. A nice woven basket filled with summery blooms. 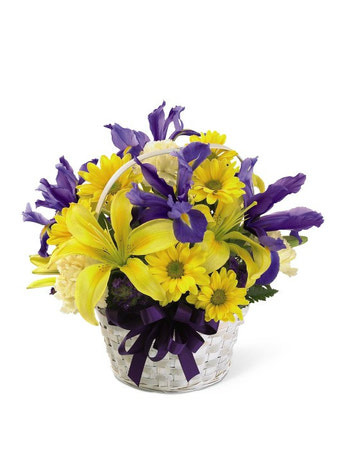 The Sunny Skies Basket is the perfect spring arrangement to celebrate the Easter holiday. 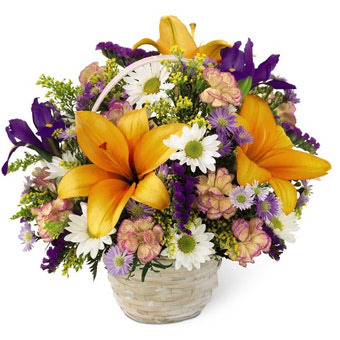 An array of color and variety is being conveyed in this fun and cheerful basket - a great gift for any occasion. 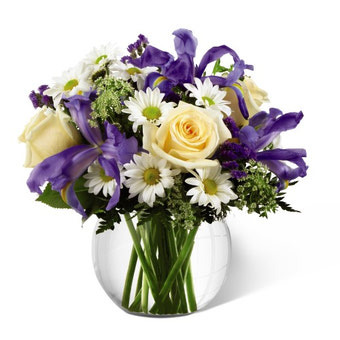 A basket overflowing with the freshness of spring blooms arranged in a round whitewash handled basket. 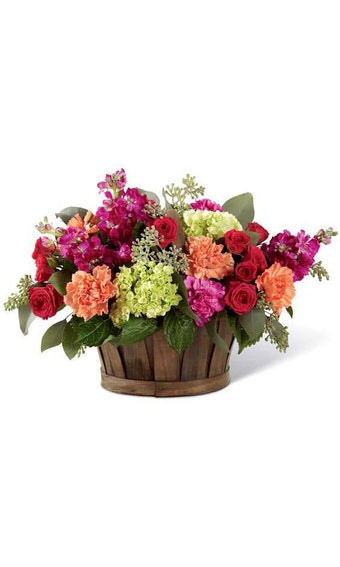 This spring flower basket is a display of the bright colors of nature. 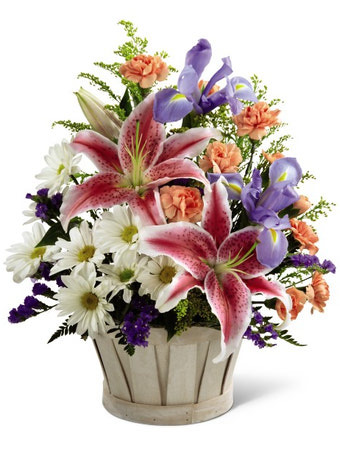 Arrangement includes orange Lilies, purple Iris, white Daisies, pink Mini Carnations and yellow Solidago. 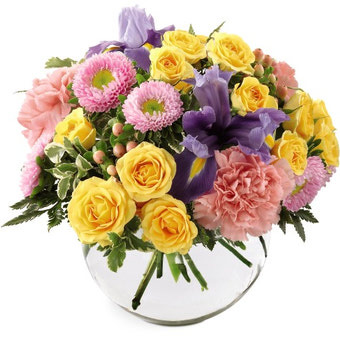 This mix of pastel colored Carnations, Spray Rose's and Iris's is arranged in a glass bowl. Perfect to celebrate Easter and the Spring Season. 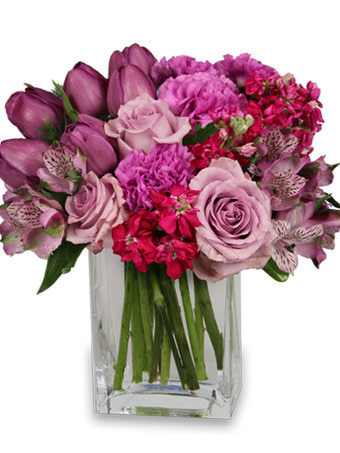 Capture the spirit of spring with this stunning display of purple tulips, roses and much more. 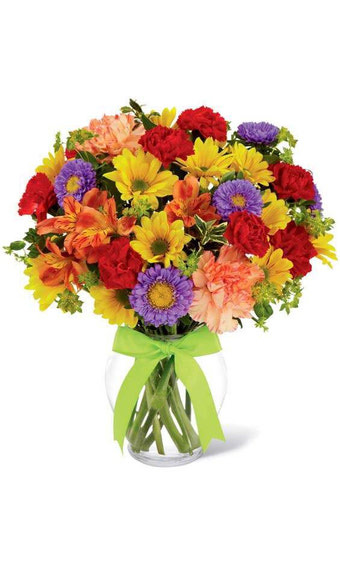 This bouquet is a guaranteed way to lift any mood and spread cheer throughout the day! 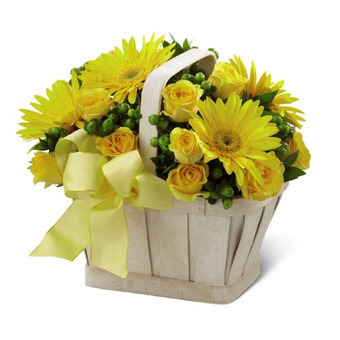 Bright yellow Gerbera Daisies, Spray Roses, green Hypericum Berries, Myrtle greens and a yellow ribbon- arranged in a stylish whitewash basket. 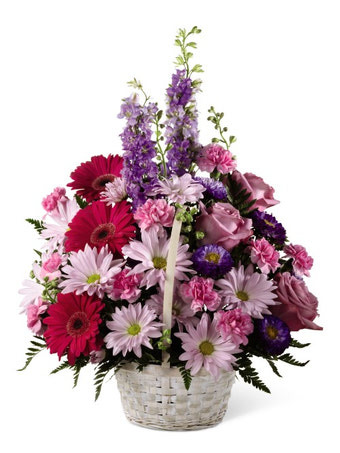 The All About Spring Bouquet is full of unlimited beauty. 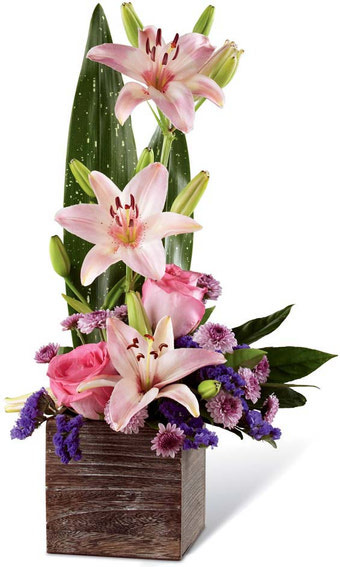 It's spring blooms will create an incredible look to any room. Celebrates Easter with this festive abundance of spring blooms. 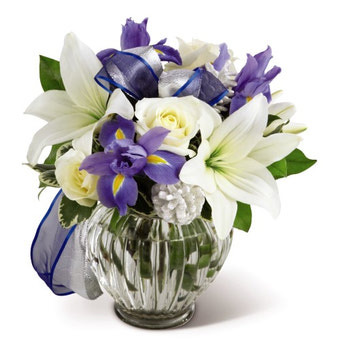 Blue Iris's, white Roses and white Asiatic Lilies decorated with greens, silver pinecones and blue and silver ribbon - situated in a clear glass ginger jar vase. 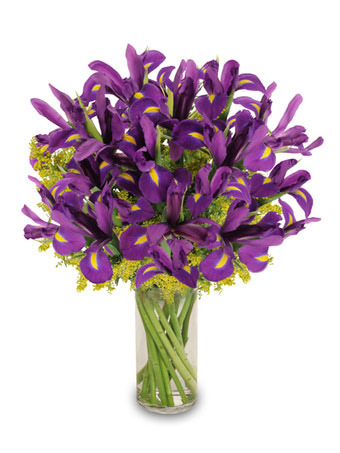 Celebrate Easter with this display of blooming purple iris, it reflects a vibrant spring day. 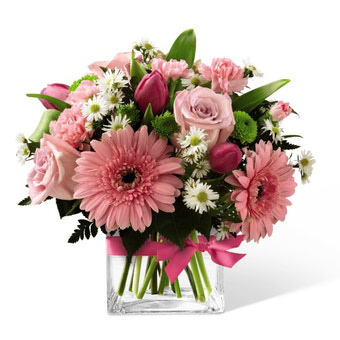 Arranged in a classic cube vase is a selection of soft pink blooms. It's a great gift to send for Mother's Day , a new baby or anytime during the spring season.